Slopestyle is a winter sport in which athletes snowboard down a course including a variety of obstacles including rails, jumps and other terrain park features. The discipline has its roots in action sports like skateboarding and BMX and has very successfully crossed over into the world of snowboarding. Today the Three Rivers League was nothing short of spins, grabs and grinds as the competitors pushed the limits of Mt. Hood Meadows course. The blustery weather blew snow around all day and not a rider one took their turn without getting pelted with icy blasts of wind. These challenges however didn’t slow down our teams, or the spectators who came out to watch the spectacle of 540’s. More cow bell, definitely helped Oregon City’s Marrisa Brandon pull of a first place run and a state qualification. Luke Campbell with Lake Oswego joined her with a first place boys run. 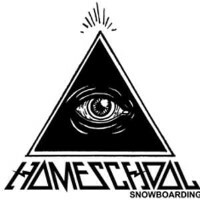 Luke also qualified and will be showing off his newest tricks at the big state event March 9-12th at Mt Hood Meadows.